Jeff Sessions resigned as Attorney General on Wednesday, less than two years after the Senate narrowly confirmed him to the post. Sessions’ tenure as the nation’s highest-ranking law enforcement officer, while relatively short-lived, was a boon to anti-immigrant groups and Trump’s hardline approach to immigration. Sessions has a troubling history when it comes to immigration, one of many concerns raised during his contentious nomination process. Many worried that as Attorney General, Sessions would double-down on restrictions to legal immigration, harsh enforcement practices, and more broadly lend credibility to the positions espoused by the anti-immigrant organizations he is loyal to. Sessions has longstanding ties to extremist organizations—some of which have been identified as hate groups—with origins with white nationalist, eugenicist John Tanton. At one of his nomination hearings, for example, Sessions was questioned about his relationship with multiple anti-immigrant organizations. Rather than assure senators and the American people that he would fairly enforce anti-discrimination laws, Sessions deflected and refused to denounce his association with nativist groups. Looking back at the changes Sessions made while heading the Department of Justice (DOJ), the warnings and concerns raised during his nomination were warranted and, unfortunately, accurately predicted some of his damaging decisions. 1. Sessions rolled back key protections for domestic and gang violence victims seeking asylum. In referring to himself a case involving a domestic violence survivor and asylum seeker, Sessions issued a decision that effectively made asylum inaccessible to many survivors seeking protection in the United States. 2. Sessions weakened judicial independence in immigration courts. 3. Sessions undermined the immigration court system he pledged to protect. Under his leadership, the court backlogs have swollen to 1.1 million, as old cases previously closed by judges were reopened and other mechanisms for case closures abandoned. 4. Sessions attacked asylum seekers and advocated for even less due process. Sessions implored Congress to pass laws that would implement dramatic changes to immigration law, further curtailing the limited protections available to asylum seekers and expanding fast-track deportations. 5. Sessions ramped up prosecutions of parents and certain immigrants, taking focus and resources away from prosecuting serious security threats. 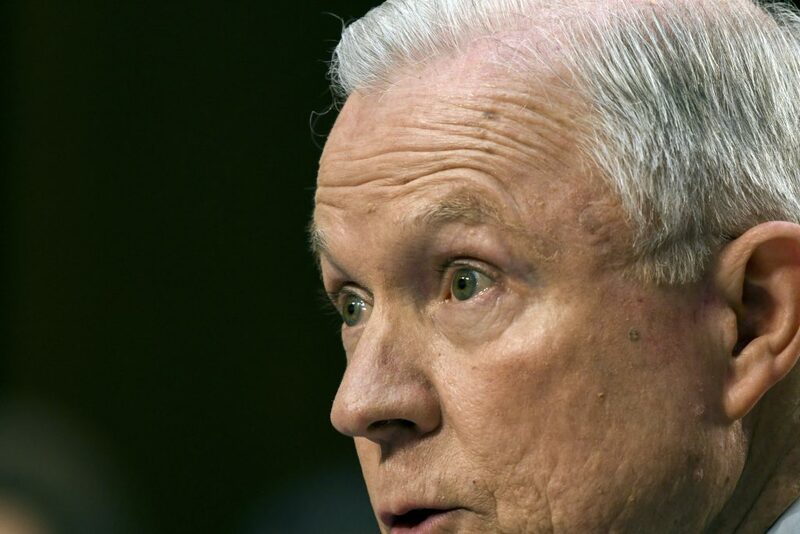 Finally, a new policy under Sessions shifted U.S. attorneys away from prosecuting serious criminals and national security threats, instead ramping up federal court prosecutions of low-level immigration offenses. Although Sessions has left DOJ, his harsh stance on immigration lives on in these changes. The damaging results of such policies and practices must be overturned. A new attorney general, who must be nominated and confirmed, should make choices that better reflect the rule of law and the values of our nation.